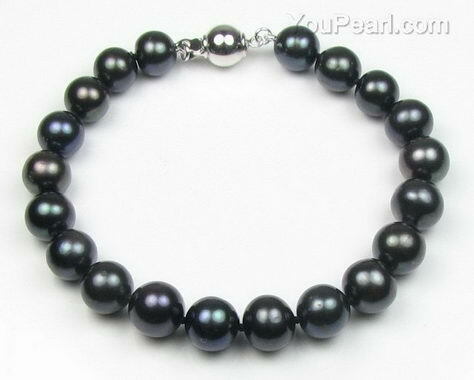 This gorgeous bracelet is knotted between each pearl for safety and beauty. This bracelet in peacock black is lovely. I am very pleased ..